I am pleased to present my new ebook, Artificial Hip Lawsuits: What You Need to Know. For now I am making the book available for free in digital format; simply click the link on the right and download your copy of the book. We can also send you a printed copy if you like–simply reach out to us using the contact box on the right. Nine years ago I was hired to represent a woman who suffered terrible pain and misery after her artificial hip failed. Since then I have helped many others who have had traumatic experiences following a failed hip replacement surgery. I hope this book may help you. Note: The book spends considerable time examining the Depuy Orthopaedics hip failures and hip litigation, but several other companies manufactured and marketed metal-on-metal artificial hips, such as Stryker, Zimmer, Wright Medical, and Smith. Currently there are multi-district litigation courts still active and accepting claims for defective artificial hip products, including the Depuy Pinnacle Hip System (Northern District Texas), the Stryker Rejuvenate Hip (Minnesota District), Zimmer Durom Hip (New Jersey), as well as Biomet and Smith & Nephew. 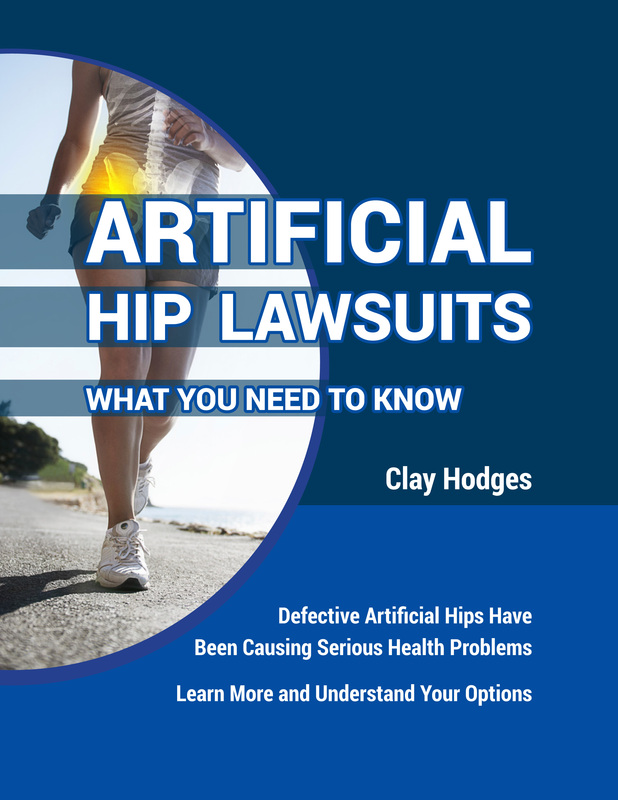 This volume should assist you if you suffered from a failed artificial hip from any manufacturer.